The US Trotting Association is funding research to evaluate whether cobalt is a performance-enhancing substance. In doing so, it will assess its effects on red blood cell production. The use of cobalt is worrying racing jurisdictions across the globe, with high-profile trainers in several countries under scrutiny after horses tested positive for levels of the substance in their blood or urine above thresholds imposed by administrators. The fresh research will be carried out by Dr George Maylin, from Morrisville State College in New York, and Dr Karyn Malinowski and Dr Ken McKeever, both from Rutgers University in New Jersey. Maylin anticipates the study will start early in September. “The purpose is to study the effects of cobalt on racehorses with the exercise physiology model used by Dr McKeever to study drugs such as EPO,” Maylin said. The three scientists, in previous research backed by the association, determined a baseline for normal levels of cobalt in Standardbred horses. “Most of the research has established that the naturally occurring levels in a horse are below 25 parts per billion, but occasionally can range as high as 70 parts per billion,” association president Phil Langley said. Langley described the recent action of the Kentucky Horse Racing Commission on cobalt as typical of many racing jurisdictions. The prevailing thought is a warning at readings above 25 parts per billion and a more severe penalty when the results exceed twice that. 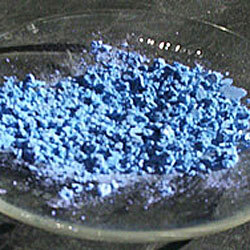 In addition, there have been no controlled studies to document the purported performance-enhancing effects of cobalt. The new study aims to test the hypothesis that cobalt administration alters biochemical parameters relating to red blood cell production as well as markers of exercise performance. Eight healthy, trained Standardbred mares will be used for the study. Before receiving any drug treatment, all animals will complete a series of baseline testing. Testing will comprise measurements of maximal aerobic capacity and markers of performance, measurement of plasma volume and blood volume as well as lactate, erythropoietin (EPO), thyroid hormones and various blood hematological factors after dosing with cobalt. Cobalt toxicity and its ability to increase red blood cell production in humans have been known for more than 50 years.